All too often, the time needed to manage the design, build and setup of a pharma exhibition stand detracts from your ultimate show objectives – be that to raise awareness of your brand or make a certain amount of sales. And ultimately, that could be a costly mistake. Let’s face it, when you run a business the managing director shouldn’t have to think about what kind of bulbs the lights need, or where the cleaners will store their equipment. Instead, they should be thinking about how they can appeal to customers and boost growth. And the same is true with pharma exhibition stands. So, if you want to secure a hassle free return on your investment, you should consider exhibition stand project management. Understand what success looks like. Before you do anything, make sure you understand why you’re attending a particular exhibition in the first place. Once upon a time, it might have been okay to exhibit just because your competitors were doing so; but today, diminishing budgets and the need to demonstrate ROI means you must take the time to set out what you want to achieve at each and every exhibition. Establish what your visitors want. And, once armed with this information, work with your exhibition stand supplier to make sure your attendance helps you to appeal to them and give them what they want. Choose the right show. There are thousands of exhibitions taking place around the world, but it’s vital you attend the right ones for you. Do the research to find out as much as you can about the shows you’re interested in. 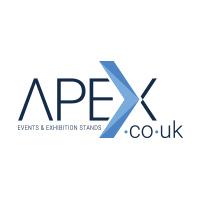 Ask organisers about attendee demographics, previous and planned participants, attendee numbers and show statistics to help identify the shows that best suit your business (and how they will help you achieve your objectives). Plan in advance to get that perfect spot. It’s all about location, location, location. If you want a prime, high-traffic area, you must register early. Find out where the best exhibition spots are and identify dead spots where visitors don’t pass through. Yes, for some exhibitors a big space is better, but that doesn’t have to be the case. We’re seeing more and more pharma customers spend less money on floor space, and more on creating smaller stands that pack a punch. Understand the regulations. When exhibiting across Europe and beyond, it’s vital to adhere to the relevant health and safety and industry regulations. Especially for heavily regulated industries such as pharma. Look at Method Statements, Risk Assessments, and health and safety information. It is also crucial that you have an understanding of the culture of the local event organisers and key suppliers and how to ensure a speedy transit through customs and import processes where needed. Consider the logistics. As well as a show-stopping exhibition stand, you also need to consider more mundane (but critical issues) such as reserving electrical supplies, broadband, water and any special requirements. And, of course, organising transport, stand building, stand dressing, product merchandising, stand breakdown and storage. Make friends with your neighbours. If you can identify who will be next to you on the day, talk to them to see if there are any clashes or opportunities. Grab attention. Your pharma exhibition stand should stop people in their tracks and grab their attention. Make the most of your exhibition space by using colour, signage, and lights to deliver maximum visual impact, attract the eye, and draw attendees to you. Consider large graphic displays, ceiling hung graphics, movement that is triggered when someone walks past, and integrated technology to help provide that elusive ‘wow’ factor. Keep people talking. No matter how good your stand looks, all your effort could go to waste if it’s not a catalyst for conversations. Consider employing interactive and immersive technology (e.g. VR/AR), games, video, and seating areas to give people a reason to strike up conversations and experience the benefits of your product/services for themselves. But make sure everything you do relates to your original goals. This is just a small snapshot of the work involved when attending a tradeshow. But as you can see, there’s a lot of organisation behind getting your pharma stand looking its best on the day, and this can be stressful. However, our exhibition stand project management team can expertly look after all of it for you. A specialist supplier to the healthcare and pharmaceutical industries, our exhibitions team has industry-specific knowledge and works in synergy your other approved agencies. We work in all healthcare areas including ethical pharma, OTC and retail products, primary and secondary care communications, R&D and clinical trial events, nursing and NHS commissioning. Find out more about our work in pharma exhibition stand design. Our exhibition stand project management team has worked in all the major UK exhibition venues and in many centres worldwide. Operating as part of your wider team, we look after all aspects of project management and we carefully plan your exhibition presence for you. You’ll value the stress reduction, our attention to detail and our commitment to quality. What's more, we keep you updated with regular meetings and teleconferences. If you’d like to find out more about how we can make your pharma exhibition stands a success, contact us today to find out more, or give us a call today on + 44 (0)1625 429370 to discuss your requirements in more depth.